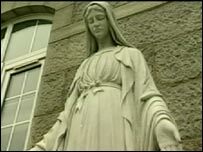 Judges have thrown out claims for compensation by former residents of a children's home run by nuns in Glasgow. Appeal court judges said they were too late in bringing the case, which centred on claims of physical abuse and lack of care in the 1960s and 1970s. The judgement has effectively ended the action of about 450 people. The rejected claims were test cases brought by three former residents of the Nazareth House children's home in Cardonald on Glasgow's south side. In a hearing which lasted several weeks at the Court of Session, former residents alleged that they had suffered physical abuse and a lack of care which had psychologically damaged them. Judge Lord Drummond Young had refused to ignore the time bar for such actions and dismissed the case. He said the action was at least 10 years after the time limit had elapsed and at least 21 years since the alleged abuse ended. 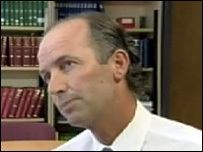 Following a review of that decision, appeal court judges ruled Lord Drummond Young was right to have rejected the case. A statement from the appeal judges, said: "In the appeal a number of criticisms of the opinion of Lord Drummond Young were advanced on behalf of the pursuers, but these criticisms are rejected by the appeal judges. "The decision which Lord Drummond Young had to take was a discretionary decision and the appeal court finds that he was not only entitled to come to the decision which he did, but was correct to do so." Cameron Fyfe, the residents' lawyer, said it was probably the end of the matter but he pointed out that most have already received criminal injuries compensation of several thousand pounds. In October last year, BBC Scotland learned that compensation totalling £23,000 had been awarded to 16 former residents of Nazareth House orphanages across the country. The payouts followed compensation hearings involving people who were at the homes in Aberdeen, Glasgow and Kilmarnock. The former residents, most of whom are now in their 40s, 50s or 60s, claimed they were abused, beaten or humiliated. Earlier this year a similar group also received cash awards. The payments - ranging between £1,000 and £2,600 - were made by the Criminal Injuries Compensation Authority (CICA).